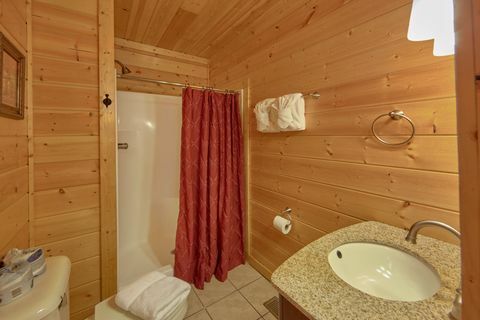 Resort Cabin Rental Near Dollywood - "Fleur de Lis"
"Fleur De Lis", a resort cabin rental near Dollywood and Gatlinburg, provides visitors with indoors resort swimming pool access, WiFi Internet, and other great features that will make your stay in the Smokies luxurious, comfortable, and memorable. 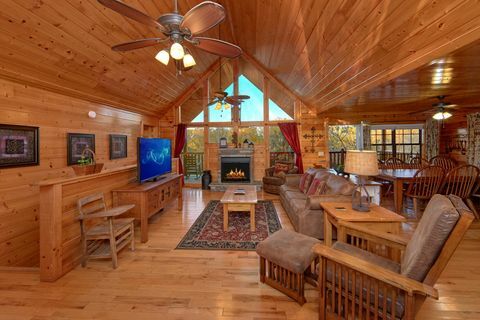 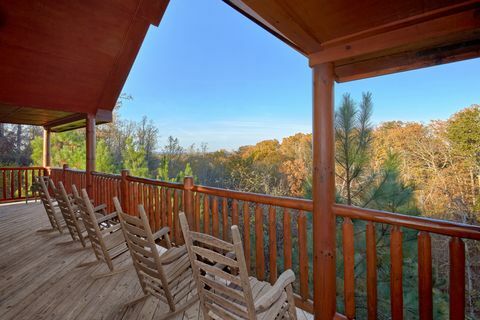 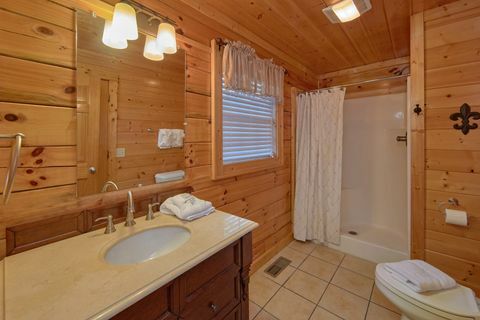 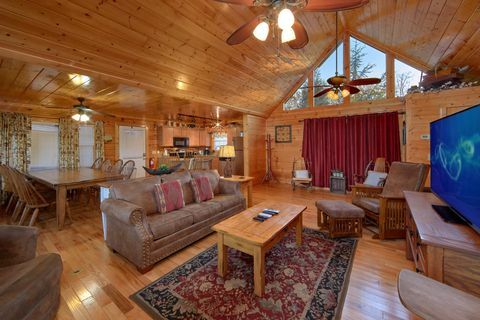 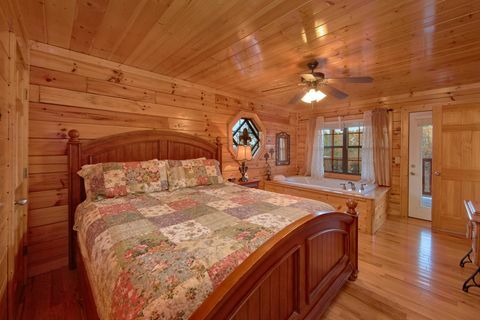 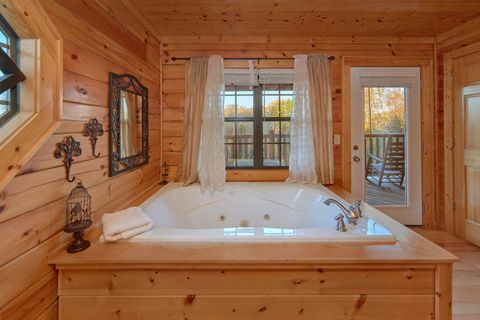 This Smoky Mountains cabin rental places you and your guests in an elegant, 4-bedroom cabin getaway that's great for families, reunions or any group looking for accommodations for up to 12 guests. 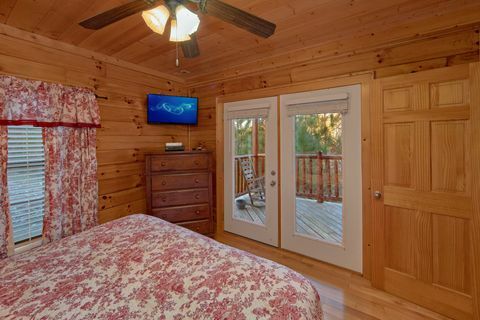 Each of this cabin's 4-bedrooms is furnished with king-sized beds and 32-inch televisions – one of the bedrooms even has a two-person jacuzzi tub! 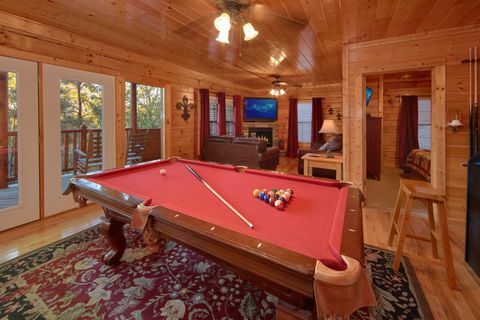 There’s also plenty of entertainment space as well. 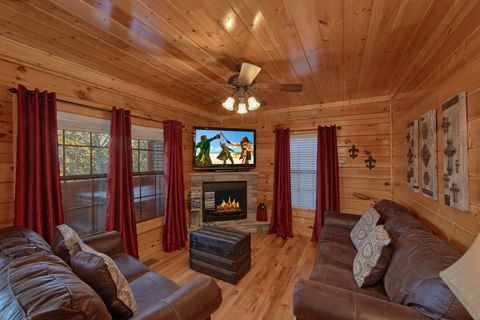 The main level's living area offers a gas log fireplace, 55-inch television, and sofa sleeper. 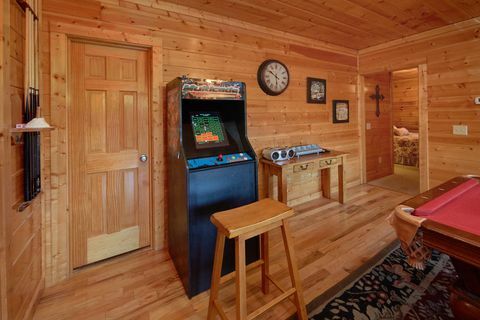 The game room's living area offers guest an additional 55-inch, flat-screen television with large selection of games and DVDs as well as a standing arcade video game and pool table. 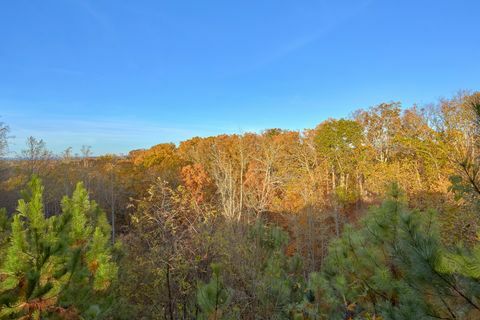 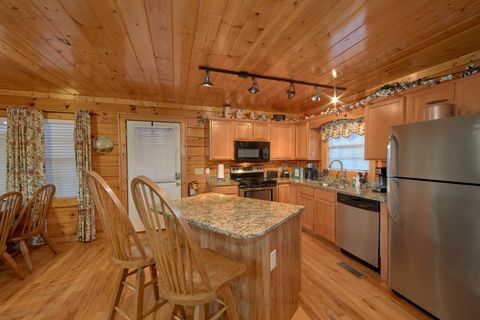 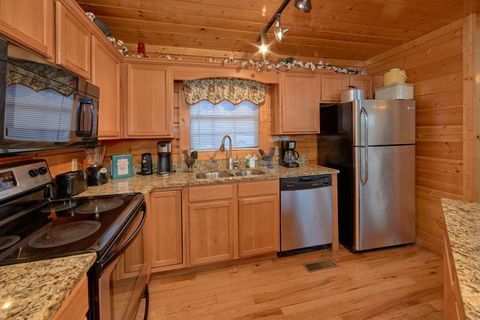 The cabin’s open floor plan lets you continue enjoying the family while preparing meals in the well-equipped kitchen with a breakfast bar and a large dining area. 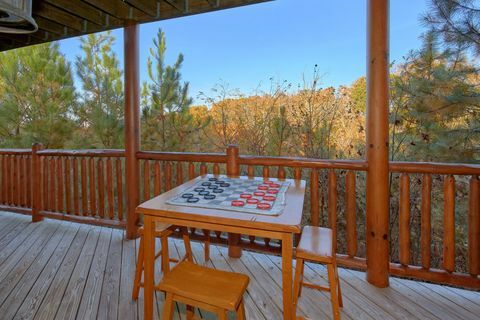 Plan a family night with dinner hot off the outdoors charcoal grill. 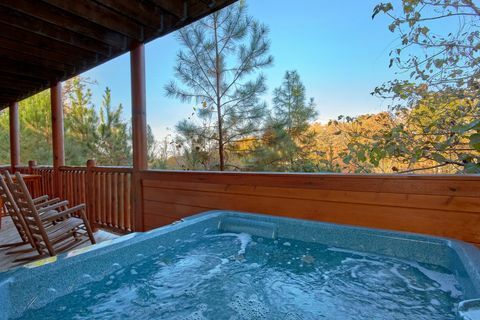 After dinner, relax year-round in the hot tub on the covered deck! 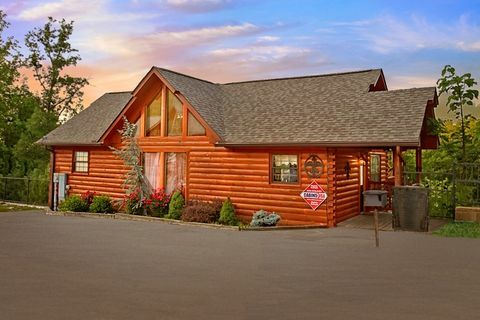 Take advantage of the cabin's wireless Internet for even more family entertainment. 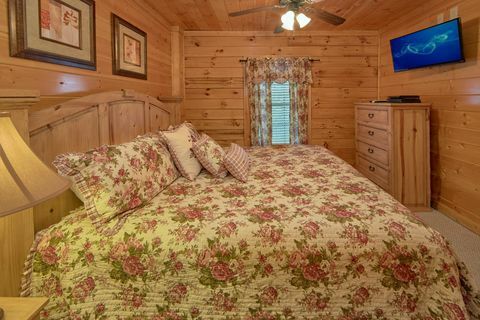 "Fleur De Lis" is more than just a resort cabin rental near Dollywood, it's comfort and family fun wrapped into a vacation experience that'll long be remembered. 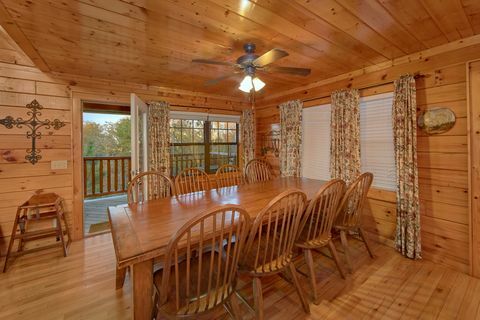 Come discover the Smoky Mountains in affordable style. 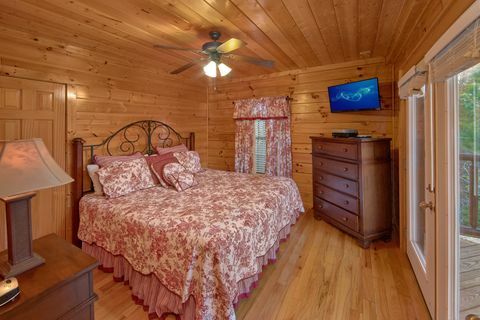 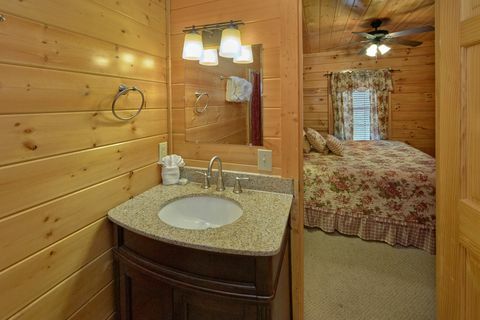 Book this special cabin near Gatlinburg online with Cabins USA Gatlinburg and you SAVE with an immediate Online Cabin Special!